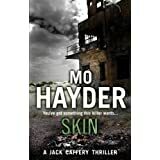 To mark the release of Poppet, the sixth Jack Caffrey thriller, Mo has stopped by Raven Crime Reads as part of her blog tour, and was kind enough to answer my questions about her new book, her inner astronaut and mutilating dolls…. I was watching Slingblade written by Billy Bob Thornton, and the early scenes – in a mental institution for violent offenders- really engrossed me. Especially the way some of the patients relished reliving their crimes. I ran up a couple of character sketches, just as an exercise to see if the idea had legs, and suddenly I realised that a mentally ill character in fiction can believe all manner of extraordinary things (the character of Monster Mother for example), and the reader has to decide which of the stories are a product of the psychosis and which are grounded in reality. I loved the use of the poppets as a motif throughout the book. Indeed, I remember as a small child hating dolls, but after using an up and over garage door to mutilate my Tiny Tears making her cross-eyed I wouldn’t be parted from her! What was the inspiration for these ominous little figures in the book? I had a doll called Rachel and I accidentally melted her next to an electric fire. Like you I thought she was much cuter afterwards. But the idea from the book probably came from too much time in New Orleans amongst the voodoo tourist shops. 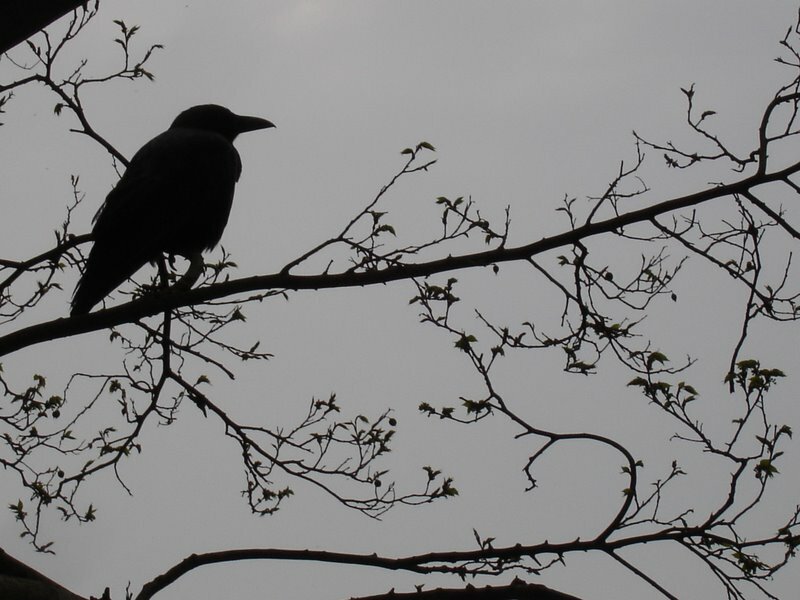 The relationship between Jack and Flea is central to every fictionalised investigation. How much do you love toying with the reader in terms of their near misses with each other and can you give us any clues to further developments between them? Oooh – I’d hate to give the game away. But in the next of the series, Wolf (coming 2014) things between them do move along. Can’t say more than that – sorry! I always feel that location becomes like another character in your books from the well-heeled and genteel streets of Bath, to the natural setting of rural communities and then with more earthy urban locale of Bristol. How useful and freeing is it you as a writer to encompass these widely differing locations within your books? Maybe because I’m a bit of a gypsy and I love travelling, I very often prefer the sense of ‘place’ in fiction to the characters themselves. In my own work my favourite writing is description of place (I usually overwrite those sections). 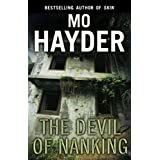 However, with the exception of Tokyo (Devil of Nanking), I don’t choose the location ahead of the story. The story always comes first, the setting is secondary. You always come across as a well- adjusted and perfectly pleasant person, but beneath that attractive exterior lurks a dark, and I would say, twisted imagination! How much fun is it as a writer tapping into your positively Jekyll and Hyde character? Crikey, what a compliment. Now maybe you could convince my family I’m well adjusted and pleasant? Not sure they’d agree. But seriously, I guess we are all made up of dark and light and if I can exorcise the dark parts of my nature by writing, then it’s probably a good thing. Were you always destined to be a writer? And what’s the best advice you could give to a fledgling author? I certainly didn’t set out to be a writer – not at all. I read loads as a child (my mother was an English teacher) but the author thing just sort of bubbled up out of nowhere in my late thirties. However in retrospect I see that I was probably always totally suited for this job (bit of a dreamer, bit of a loner and a desperate need to control) My best advice to a fledgling author is: if you think it will be fun and easy to make a living writing then you are really kidding yourself. You have no idea what hard work it is. Most people give up when they work out how tough it is. What books or authors have influenced you or have been central to your own development as a writer, and which books or genres do you like to pick up for your own entertainment as a reader? I have lost track of the wonderful books that have inspired me – I could honestly say that there is no book not worth reading. Even the terrible, flawed books teach you something (if only how not to do it). I really enjoyed the recent Ch 4 series Utopia. The killer Arby played by Neil Maskell is just awesome. If I wasn’t a writer I would like to be….. In bed – my bed is mission control, everything happens there. A trip around the world or a trip to the moon? Moon. I’ve been around the world and my family were involved in the Apollo missions so I’ve grown up being fascinated by the moon. Cats. Some people say they are unfaithful, I consider them ’emotionally flexible’. 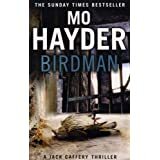 Ever since the publicaton of Birdman, still in the top 10 list of my favourite crime reads ever, I always await the next Mo Hayder title with bated breath. 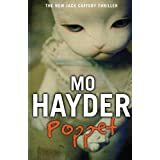 Poppet is the latest in the the DI Jack Caffrey series and fear not if you have not dipped into these before as there is a cogent covering of back story for the new reader. 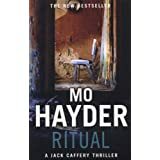 In this new book, Caffrey is drawn into a series of mysterious deaths at a pyschiatric unit, but are lives being lost by human or supernatural hand? 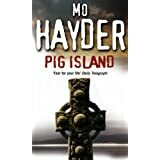 Are the patients and staff being manipulated by the supernatural figure of the Maude said to walk the corriders of the hospital, or is there the more frightening possibility that they are meeting their demise from one of their own number? There is the normal assured ratcheting up of terrifying tension that Hayder is renowned for, and by employing the motif of the sinister little dolls called poppets, and the legend of the Maude, there are more than enough shocks to get even the bravest amongst you checking under the bed before lights out. 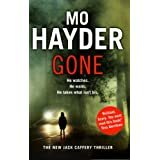 The characterisation is superb as always as the continuing tensions between Caffrey and his police colleague Flea Marley ebb and flow through the course of the book, with their personal and professional loyalties continuing to be tested as an old investigation, and their actions in conjunction with this, comes back to haunt them. 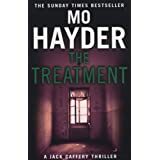 Aside from our two familiar friends, Hayder introduces a wide spectrum of other characters as the setting of the psychiatric unit allows her to present to us the very different mental rationales of those existing within it. Her portrayal of the patients including the brilliant Monster Mother and Isaac Handel, delve deep into the effects of mental illness on the human psyche, and this is counterbalanced extremely well with the mental effects on the staff themselves who seek to treat and care for them. AJ LeGrande is a stand out character in this regard, as his position as a Senior Nursing Coordinator within the unit allows us to see the demands of the profession on him as an incredibly likeable man who becomes deeply affected by the strange goings-on, with serious repercussions in his life outside his work. I would also highlight Patience, AJ’s aunt who is an absolute gem of a character who does not suffer fools gladly, but has an absolute devotion to him despite her brash exterior. 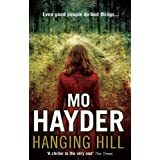 The synergy between all these characters, be they police, patients or mental health workers, make for an interesting, and at times, disturbing read with the issues and demands of mental illness handled in a sympathetic and compassionate way throughout, whilst not detracting from the central murder plot.